In their first year of operation, Steenland Elementary earned the status of being an Emerald Status- Michigan Green School. 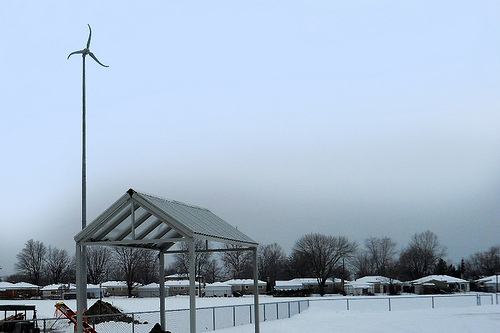 While participating in the Michigan Renewable Schools Program, they hope to advance to the Evergreen Status. As part of Steenland's curriculum, they make sure to include teaching students how to conserve energy at their own home. The renewable energy installation at their school will provide another unique learning tool for students to understand the technology and role of solar PV arrays. Since monitoring began 1/12/2011, this system has generated 4,111 kilowatt hours of clean energy.